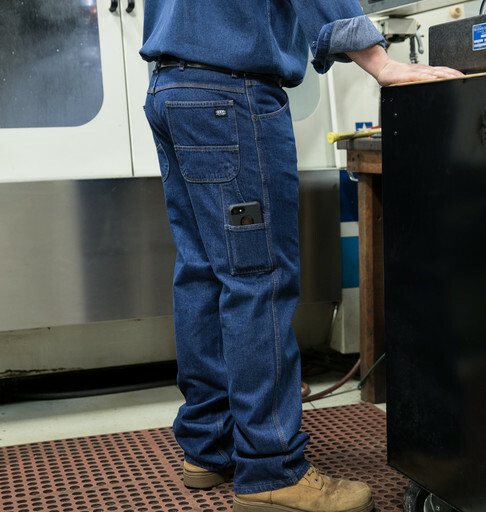 Enzyme Washed KEY Denim Dungaree, Utility Pockets and Hammer Loop for all job needs. Perfect for on the job or all those jobs at home. This Relaxed Fit Dungaree gives you room to move and is made from a Heavy Weight fabric. It is Enzyme Washed which creates a Softness for more Enjoyable Wear yet continues to be very Durable. So whether you enjoy wearing these KEY Denim Dungarees at Work or at Home, you are going to be Feeling and Looking Great!